Whether you’re looking to customize your Toyota Tundra, Tacoma, RAV4, Highlander or Camry from top to bottom or you’re looking to get more out of every mile, our dealership offers the Toyota parts you’re after. After all, a car is an extension of the person driving it, so why not build it the way you want? That’s just our policy here at Kendall Toyota of Bend, and the experts on our staff would be happy to provide you with everything from professional opinions to hands-on help. 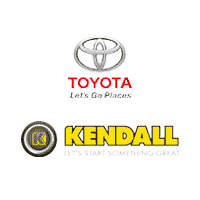 Beyond a large selection and expert advice, Kendall Toyota of Bend also offers many Toyota part specials throughout the year, meaning you could find the part you need for less than you might think. Just fill out one of our order forms online and one of our representatives will get you started right away. Or if you’d like to get a more hands-on experience, Kendall Toyota of Bend can be found at 61430 S Highway 97, Bend, OR, where you can speak with our staff one-on-one. We look forward to your visit. Meet Laurel Chandler, Kendall Toyota of Bend Auto Parts Manager. Laurel brings to Kendall over 10 years of Auto Parts experience. Have questions about which part or accessory will work best for your vehicle? Let Laurel and his professional team of Parts Specialists help guide you. There are a lot of ways to get expert advice. You can fill out the Auto Parts Request form, give us a call, send the Parts Department an email or just stop by.